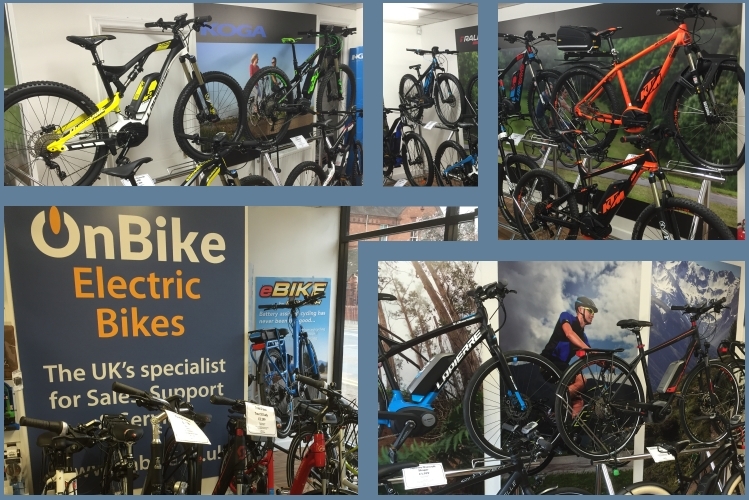 One of the most asked questions that we hear is’ what’s the best electric bike you have in the shop?’ It’s a tough one to answer is the truth, as we have so many really terrific bikes to choose from. More and more people are becoming better informed, and awareness is definitely on the increase, which is great. The challenge facing most is now not whether to buy, but more a case of which one! So, we thought it worth writing a brief note about what we think are the important bits to remember when considering a purchase. Best Electric Bike or Most Suitable…..? These days, there’s a fantastic range of electric bikes out there to choose from. Different drive systems, wheel sizes, geometry, and so the list goes on. Where does it all end (and begin!). Acquiring the best electric bike doesn’t necessarily mean the most suitable for the rider. The question is better considered as ‘what is the best electric bike for me?’ At OnBike, we pride ourselves on spending time with the customer, and understanding fully what their needs are and how best they can be accommodated. The electric bikes at the top end of our pricing are indeed beautifully appointed, but we accept that this is not what everyone wants. Thankfully, there are great electric bikes out there at very affordable prices. Once you know the type of ebike, then you can start looking at drive systems and other elements. Ultimately, the only real way to find the best electric bike that suits you as a customer is to test ride the bikes. OnBike operate an ‘open door’ approach, meaning that free test rides are a must for all customers, at any time. There’s no need to book, but we do have a contact form here if you’d like to let us know that you’re visiting on a specific day and time. There’s never been a better time to buy an electric bike. OnBike has a great range, with dozens of bikes in stock. Let us help find the best electric bike for you!